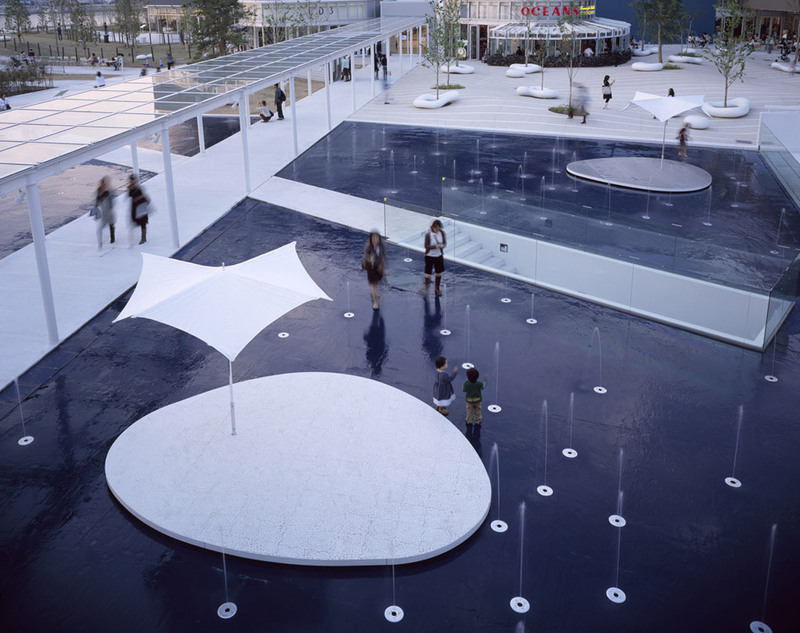 The plan for this project considers the entire landscape as an ocean, and the people who travel through the area as voyagers. 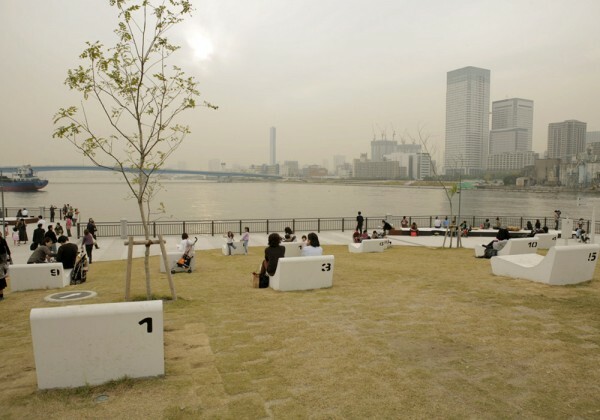 This site was previously a shipyard, and this project will be constructed by reclaiming two old docks. 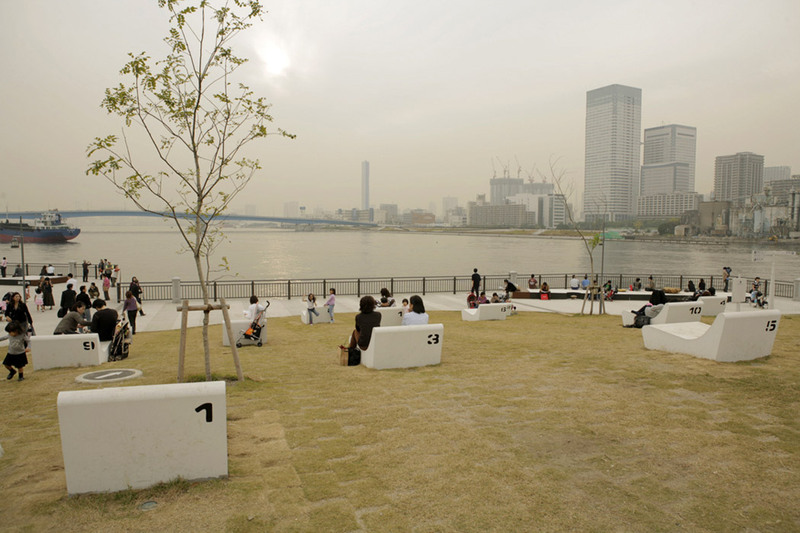 Three waves of “green,” “water,” and “earth” are layered over the reclaimed land, with a cafe, radio station, and museum scattered throughout to resemble several “islands,” and white benches with foam and coral motifs floating above the waves. 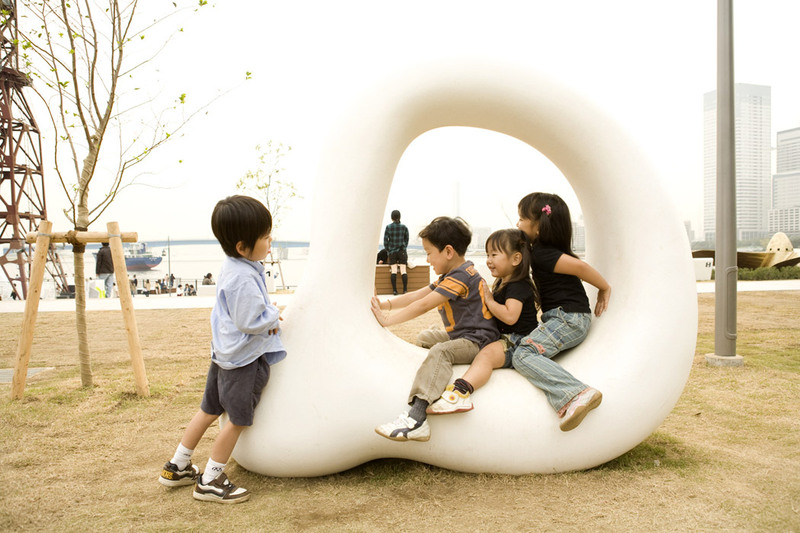 Voyagers travel freely through the space, experiencing new discoveries and encounters, sometimes letting their bodies be swept in the current, and sometimes navigating through with purpose. 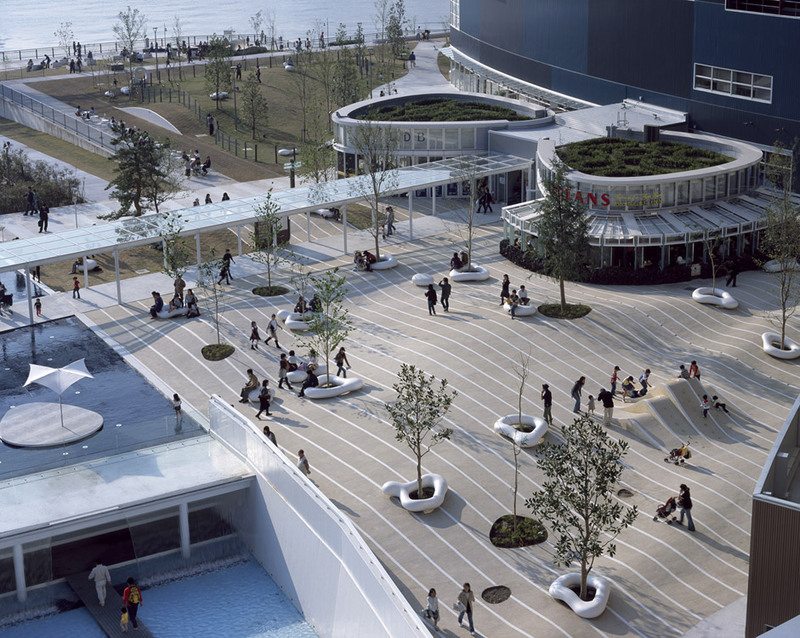 Our overall vision of the landscape in this project was to create opportunities for a wide array of discoveries and encounters—including new lifestyle discoveries, a rediscovery of Tokyo, and a discovery of new places of interest—while working within the parameters of a symbolic background of the old shipyards, from which the entirety of Tokyo Bay can be seen, as well as a contemporary city setting and Toyosu. 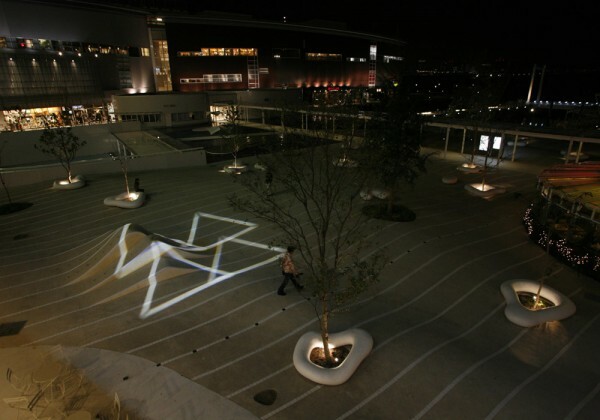 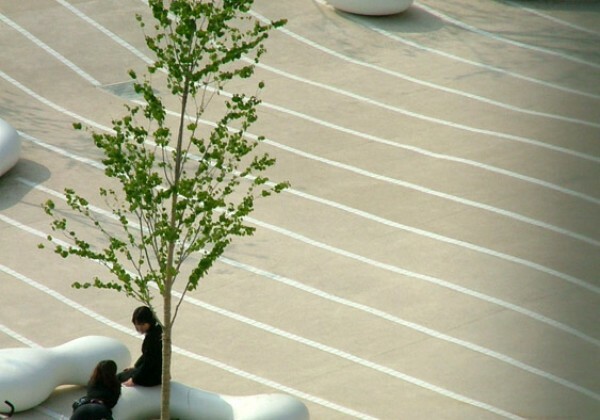 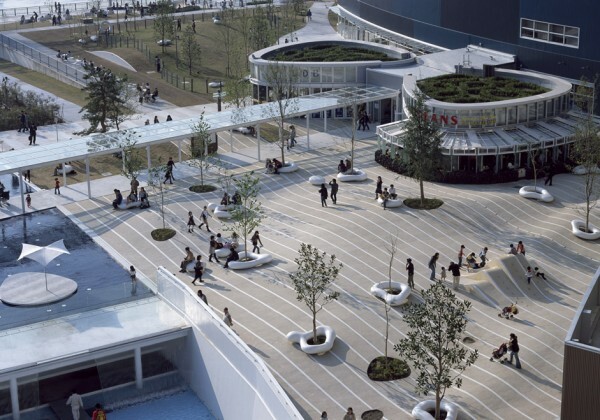 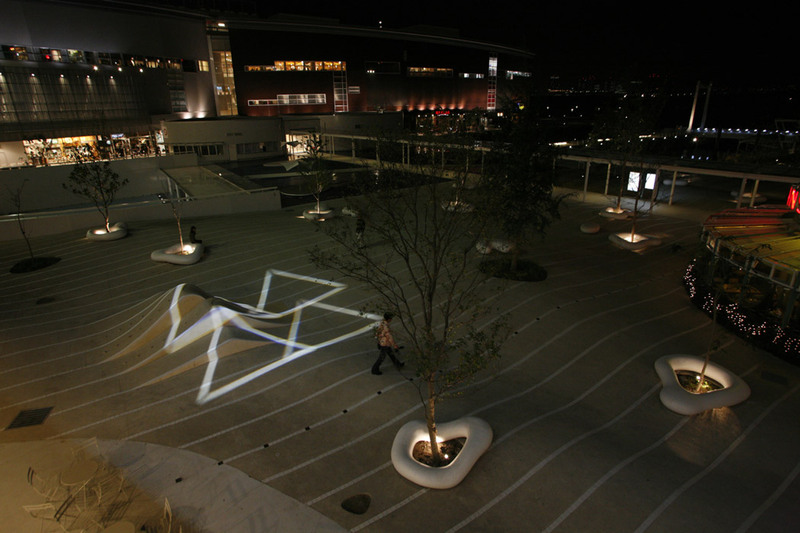 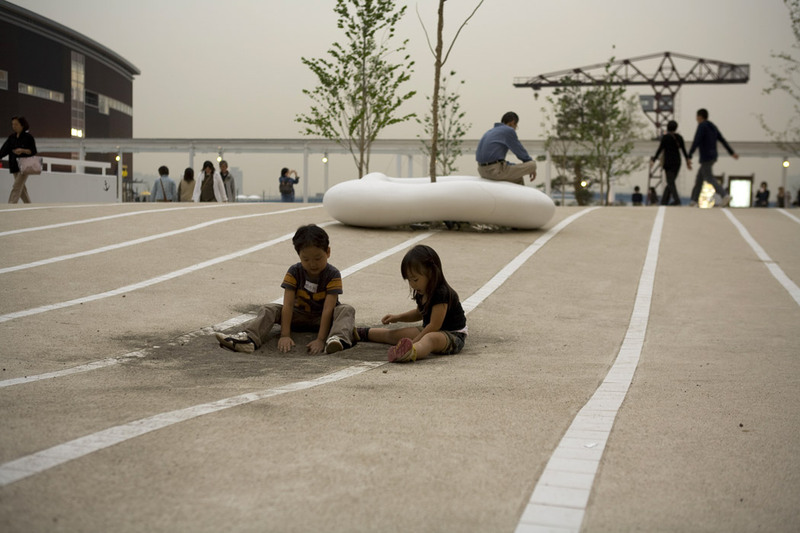 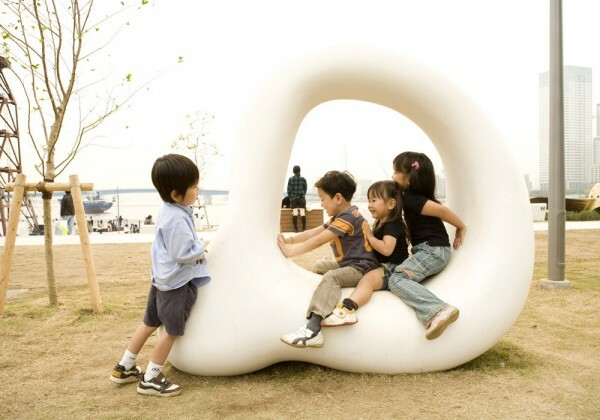 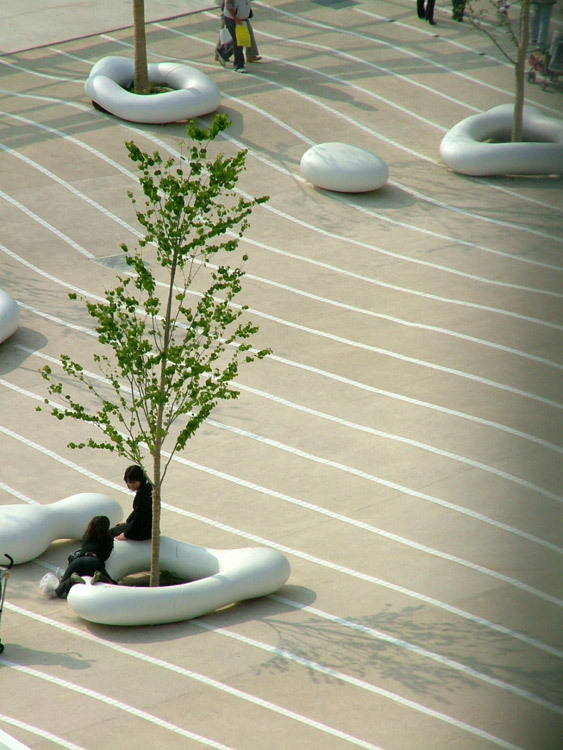 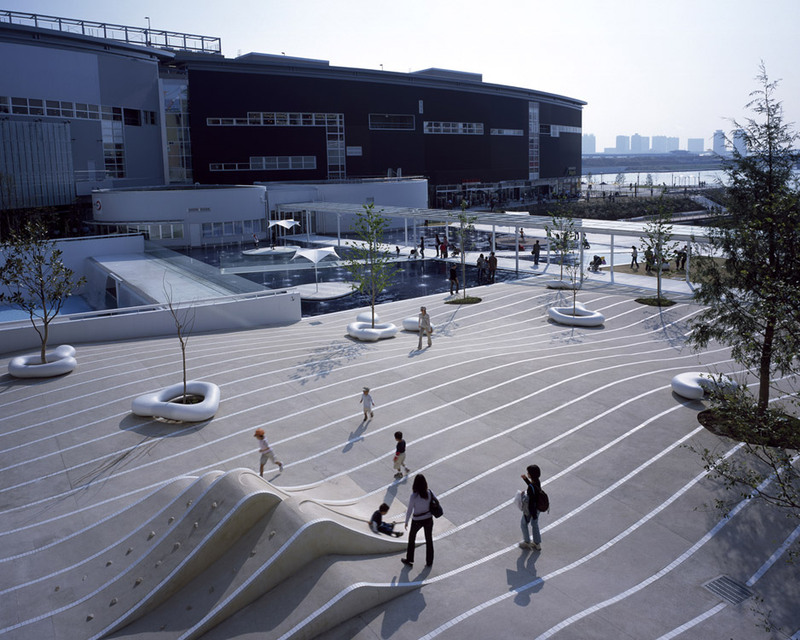 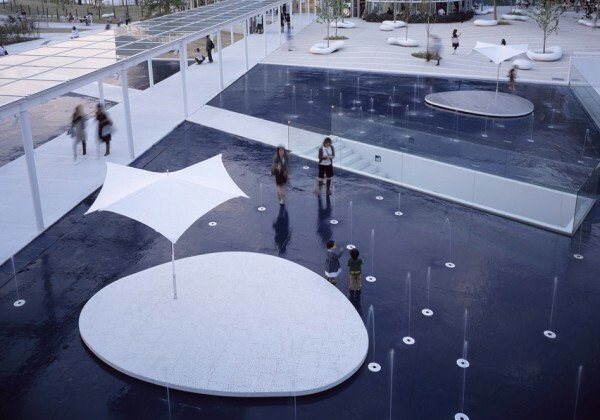 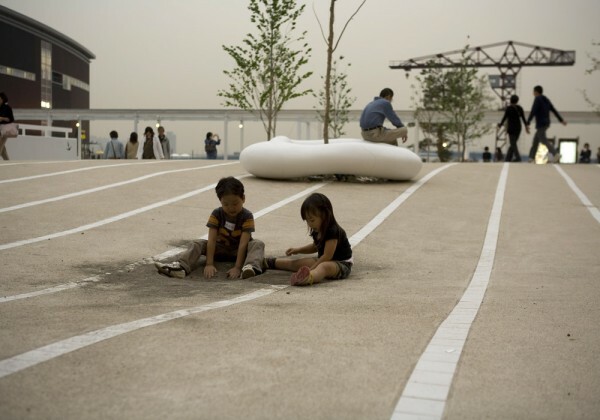 In LaLaport Toyosu, we have depicted the ocean through the overall landscape design, but in the Wave Garden we depicted waves, and placed white benches in the shape of foam and coral above them. 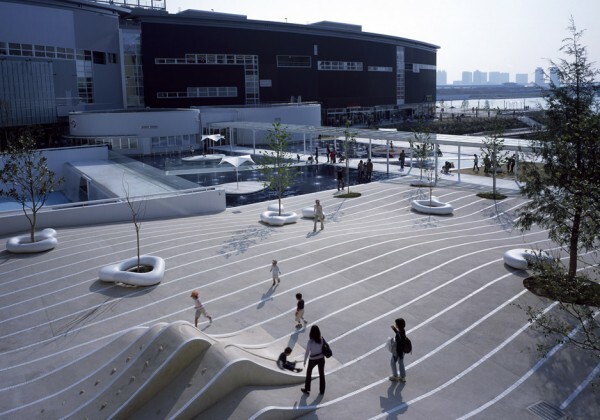 The undulating ground was very popular with children, and even though there was no play equipment, the space was one in which people felt like spontaneously running around and playing. 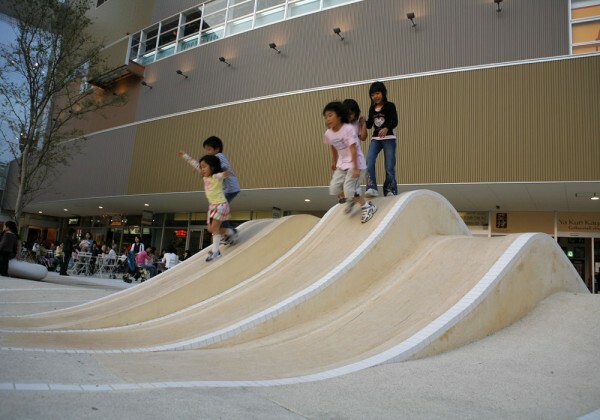 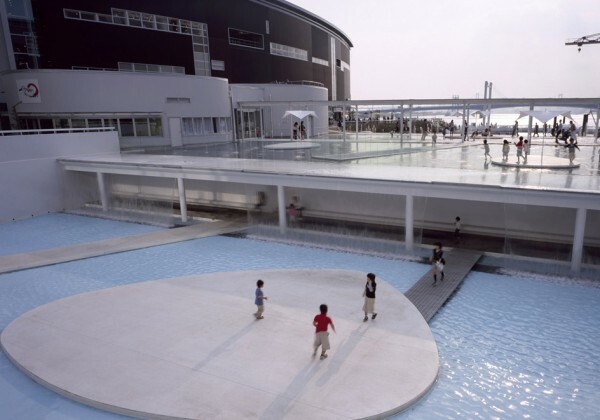 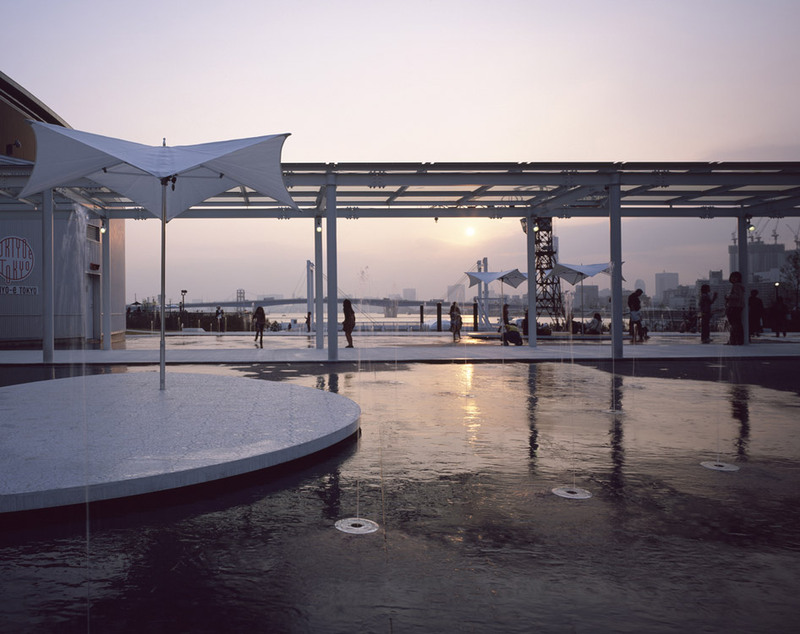 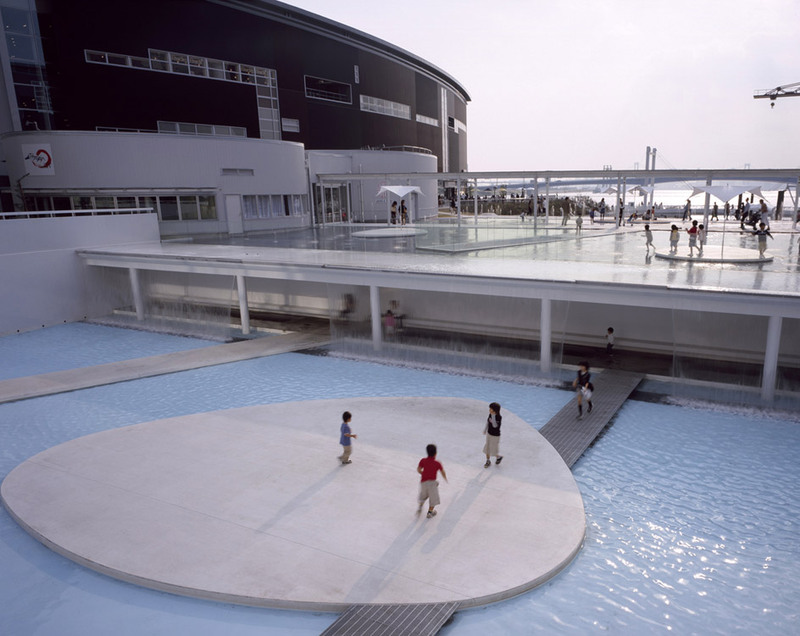 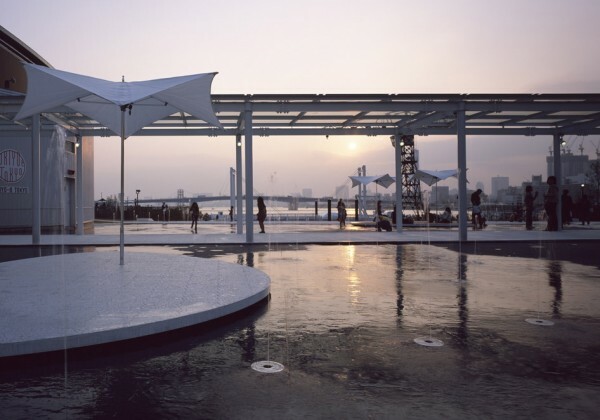 Additionally, LaLaport Toyosu has incorporated unique and playful design concepts throughout the entire facility, such as designs that draw from the memories of the old shipyard, areas for appreciating the beautiful setting sun along the ocean horizon in the evening, and various other landscape graphics.